Any building that serves as a gathering area in your outdoor space can benefit from down lighting. By placing fixtures at the highest points throughout the structure, such as beams, rafters, or support posts, the space below is inconspicuously illuminated. 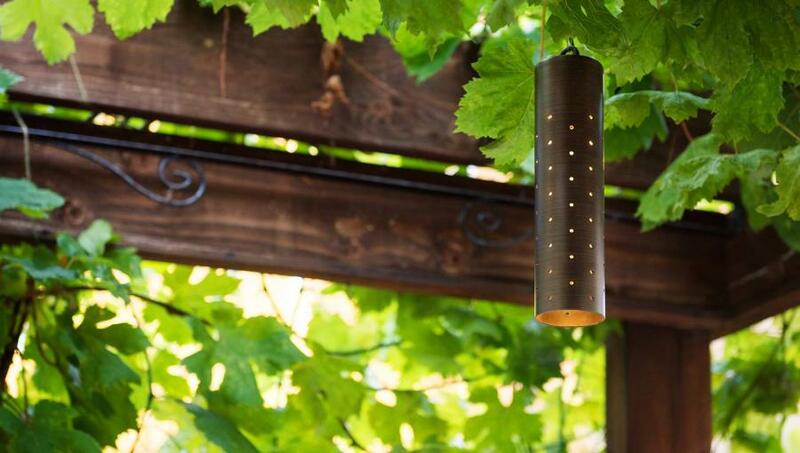 This helps keep the fixtures out of the way and provides a wide spread of light. Use dimming capabilities to brighten the area during entertaining or subdue the light when not in use. Do you have a giant specimen tree or perhaps metal art installation that compliments your landscaping? Pair down lighting with standard up lighting techniques to provide unparalleled dimension to these focal points. Down lighting is often referred to as moonlighting because it looks soft and subtle like natural moonlight. When used correctly, it can make these elements the center of attention. Probably the most common use for down lighting is in lighting trees. 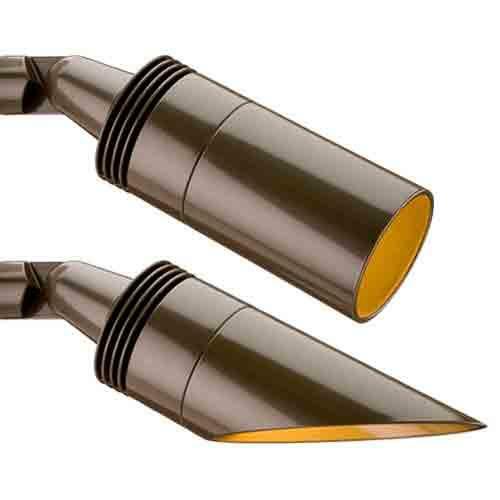 Down lights come in two different forms: the spot light that pivots to provide directional light and the pendant, or hanging, light (as shown above). When it comes to trees the latter of these truly creates the magic of down lighting. Because pendant lights hang from a secure branch toward the top of the tree, they can illuminate the trunk and branching structure throughout creating a picture that regular up lighting just can’t match. Try color changing capabilities to really make these denizens of the landscape come to life. Down lights are perfectly suited to provide the right amount of light to short pathways and staircases. When secured to a nearby tree or structure, they deliver enough illumination to create a safe area while keeping obtrusive shadowing to a minimum. On long pathways and staircases, combine down lighting with other forms of landscape lighting, like path lights, to produce continuous and varied security along the path. Outdoor lighting possibilities are unlimited. As the needs change for each project we find new and creative ways to use the myriad of products available through our trusted manufacturers. Like other fixtures used in landscape lighting, down light fixtures are available in aluminum, brass, and copper and often have different housing color options available like black or green. If you’re looking to live a brighter life and experience the magical glow of down lighting, give us a call. We’re more than happy to consult on your project in Orlando, Lake Nona, or Central Florida and provide the quality service that Total Sprinkler and Lighting is known for.